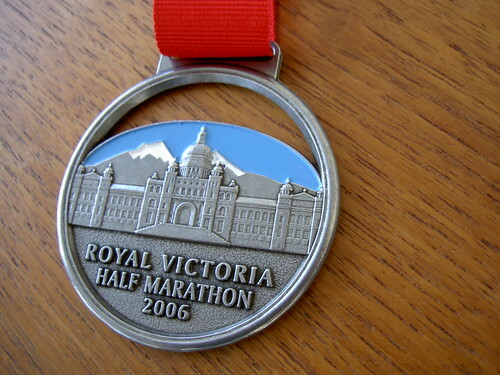 I ran the half marathon in Victoria. On that event day, it was the worst condition. It was rainy and cold. I could not beat my personal best time which is 1 hour and 54 minutes but my time was the best of the three times I participated in the Victoria Half Marathon. My friends who ran the half for the first time achieved their goal time and they were chuffed. We stayed at the Swans Hotel. 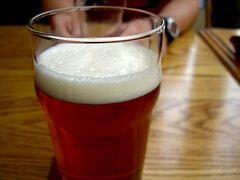 The best thing was they had a brew pub and liquor shop downstairs. 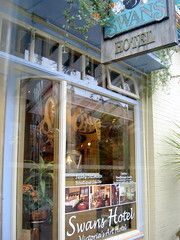 It was very convenient that the hotel was located in downtown and it had kitchen and the breakfast was served. Mr. S who ran the half was in charge of desserts. 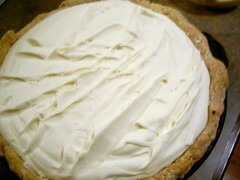 He looked hard around the hotel and he got the pumpkin pie from a bakery called La Collina. Pumpkin pies are eaten during Thanks Giving (Oct 9th this year) and this pumpkin pie was the bet I had ever had. This is Fan Tan Alley which we found in China town. 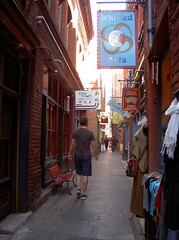 There were many shops in this small alley. It’s fun to shop in Victoria because there are many small shops which have original goods. We all walked like robots due to muscle aches and got on a bus to go home. 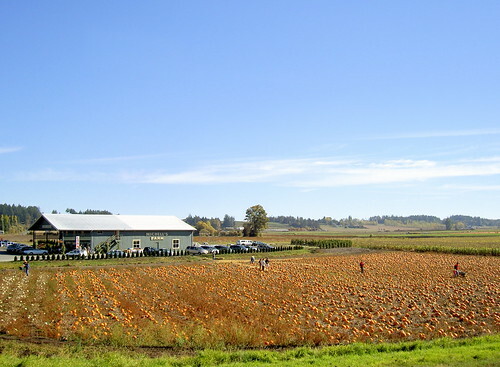 I saw the pumpkins which presumably for Halloween. This entry was posted in CANADA, Travel. Bookmark the permalink.